Are you hitting the slopes this season? With ski season well and truly upon us, the Vale Practice practitioners have put together a Ski guide for information on the most common injuries and how to prevent them. The most commonly injured areas are knees due to the prolonged flexed position adopted when skiing, combined with the forces of changing direction and consequent twisting motion. This can put huge pressure on the ligaments, cartilage and muscles that support the knee. 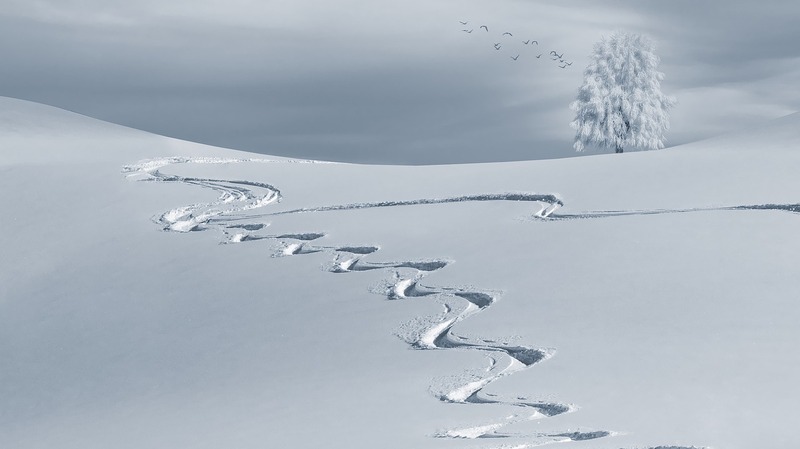 In the event of a fall when your boot fails to release, you catch an edge on a bump or, as is often the case, someone else skis in to you, excessive torsional load is put through the knee as it rotates outwards. 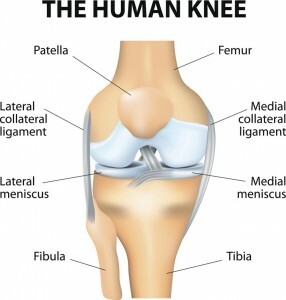 This can result in ligament and cartilage injury, commonly the anterior cruciate ligament (ACL), medial collateral ligament or the cartilage (meniscus). Or, if you are unlucky, all three. This unfortunately is usually the end of your skiing for the holiday. Skiing can also cause pain on and around the knee cap (patello-femoral pain). This is generally caused by overuse and lack of quadricep strength before hitting the slopes for a week but is less likely to cause long term dysfunction. Whether you’re a seasoned skier or new to the slopes, everyone is bound to fall at some point. Sometimes falling can cause a neck whiplash injury, so of course it is extremely important to wear a helmet at all times! Lower back injuries are also common for the unwary, or just unlucky skier, usually as a result of trunk rotation in a fall, or even just getting up after a fall. Skiers are also prone to low back pain just through overuse associated with technique and poor core stability. 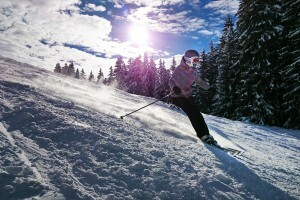 Commonly, ski injuries associated with falls happen either at the beginning of the week as your technique and reactions may be a little rusty or at the end of a days skiing when you your legs are fatigued and therefore your reactions and control are not 100%. Of course the fitter you are prior to your holiday the better, but try to resist the temptation of getting the last lift at the end of the day for ‘one last run’ as it may turn out to be your last of the week if you are fatigued. Don’t forget there is less oxygen at altitude so you will fatigue earlier. As we have hinted at, physical preparation is important before going skiing, as this will help to prevent injury and enhance your experience on the mountains. As the most force goes through the knees, quadricep strengthening is essential and wall squats, normal squats and lunges are great ways to improve this. Just remember though, strength is less protective if there you have limited flexibility which is why it’s also important to stretch the calves, hamstrings, quads and hip flexors to ensure good flexibility and range of motion in the lower limb. Core stability is also very important when skiing as maintaining good control of your movements and your form are key to preventing accidents on the slopes as well as helping to improve your technique. Using a wobble board for a few minutes at various points throughout the day combined with a pelvic tilts, superman pose and abdominal crunches, if you are feeling good, will help keep you stable and improve your movement transitions when skiing. Finally, avoid alcohol during the day. The effects of alcohol can make people clumsier than usual, making it easier to have an accident while on the slopes, plus there is the altitude to contend with which increases the effects of alcohol. So ideally try and avoid it until you have finished for the day! If you’re concerned about an old or current injury, make sure you get it checked out by a professional. Our osteopaths and massages therapists at the Vale Practice are trained to assess injuries, treat them and recommend rehab to get you fighting fit and ready to either hit the slopes or return to post Alpine life with confidence.